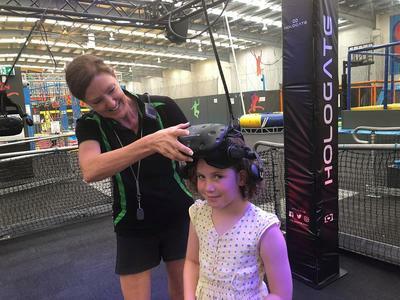 Hologate launches at Gravity Zone in Seaford. 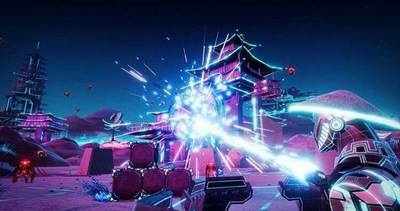 We love trying new experiences so when we heard that Gravity Zone in Seaford had recently launched a brand new VR experience, we couldn't wait to get there to try it out! With a variety of games to choose from, there really is something for everyone. Snowball throwing with little penguins or zombie battles; Hologate is suitable for 5 year old all the way up to mums and dads. Just put on your headpiece and be transported to another world. Play with up to four people and communicate via your microphone and earphones built in to your headset. You can interact together in the virtual world as you move around the Hologate arena in the real one! Watch the game play from the big screens and see exactly who is winning or what the game is like before you have a turn. When we were there, there was no line so we could play straight away. We think this one will get busier as more people learn about it though so get in quick and have a go. The staff are trained in this experience so if you need game recommendations or if you have any questions about how it all works, just ask them. They were so helpful to us and gave me some guidance via my headphones when I was having a turn. Each game goes for 5-10minutes and you can purchase a single game or a three-pack. 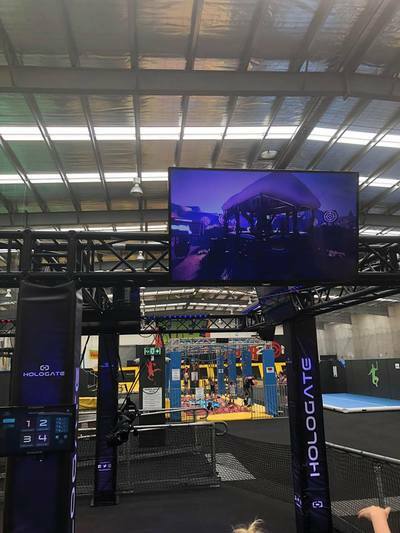 Gravity Zone is one of the first venues in Australia to have this cutting-edge technology. It really is an amazing experience like no other. Where: Gravity Zone. 25 Oliphant Way, Seaford.